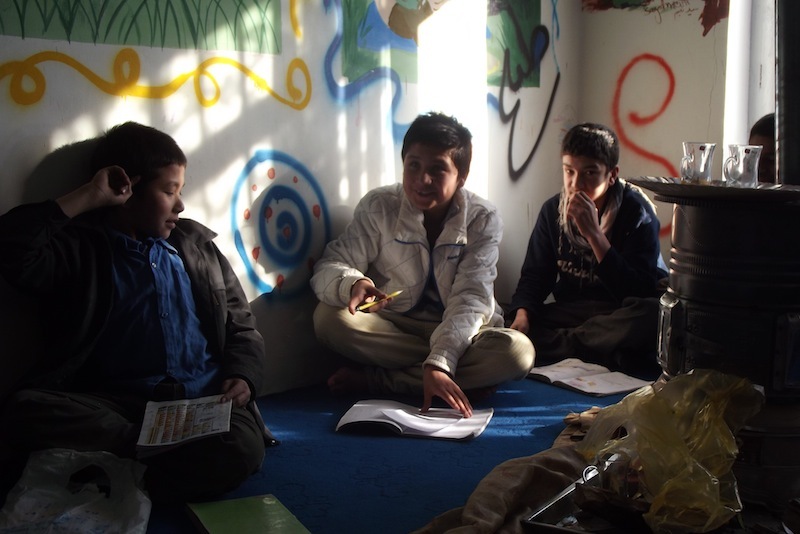 Drone Wars Afghanistan/ First Impressions/ Street Kids/ DONATE NOW! 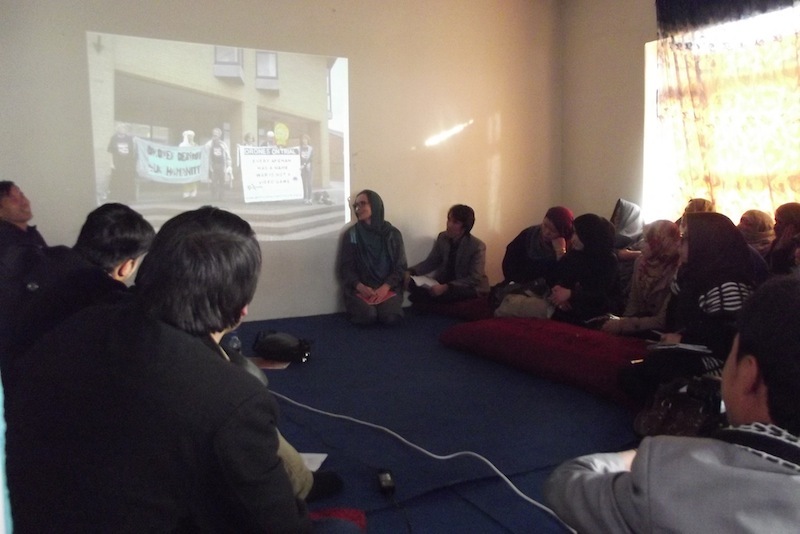 Afghan Peace Volunteers and VCNV UK hosted an international seminar about armed drones in Kabul this afternoon for grass-roots peace activists and the local press. Jennifer Gibson (Reprieve) said, Afghanistan is a country where wars can be waged without any accountability. ISAF, with UN's permission, have been carried out this long war without any accountability. What worries Jennifer is that unaccountable war has happened in Afghanistan for thirteen years and is now being exported. This lack of accountability is now being exported to Iraq and Syria. Mary said, new military technologies such as drones makes this possible. Jennifer Gibson said that after the Bilateral Security Agreement was signed between the US and the new Afghan Government, under international law it is legal to make drone strikes if a government invites a foreign force in to help out with an insurgency, and it doesn't need UN security council sanction. Its called a non-international armed conflict in international law. The street kids were all on fine form today, I managed to do a head count and there's currently 23 on the programme, part of the APV's economic justice and education equality thrust. I managed to interview Habib (which means love), the boy I wrote about last year. Since last year he's been to Farah province after his uncle told him "lets go". As usual 12 year old Habib wears a worried face, as if he carries the weight of the world on his shoulders, probably not far from that as he's still the main bread winner of the family, a stress for any grown man let alone a pre adolescent. 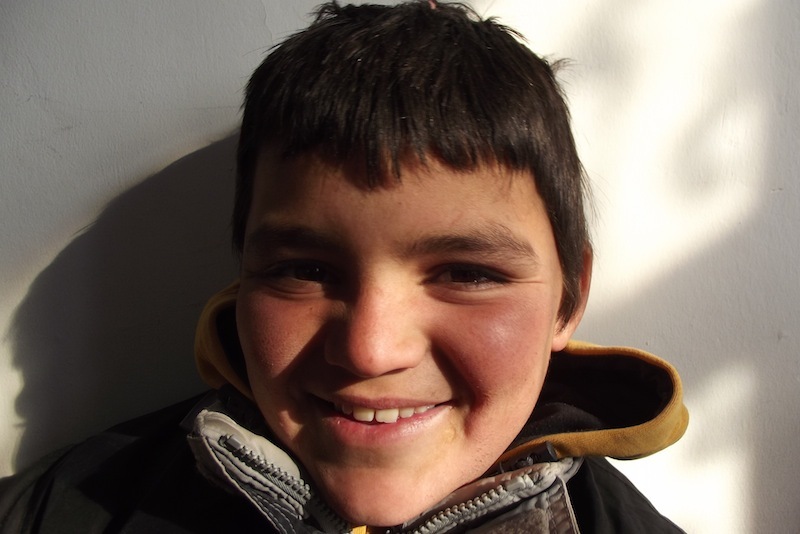 Habib has recently changed occupation, his weighing scales were not bringing enough money in so he's moved onto shining shoes which earns him around 100 Afghanis per day, around £1. His weighing scales have been handed down to his 9 year old brother Samim who also works the streets. I asked him about his time in Farah province, one of the more volatile provinces in Afghanistan, known for it's production of opium, prevalence of addicts and presence of Talibs. Habib shrugs and says "What's there to like about Farah, there's just fighting." 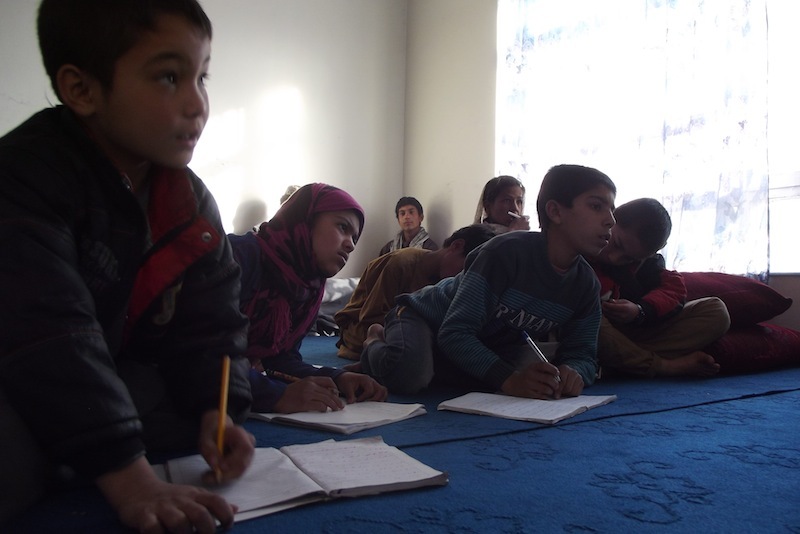 He expands a little and says there's nothing much in Farah, no city, no health facilities, just countryside, and more importantly to Habib, nowhere to study. 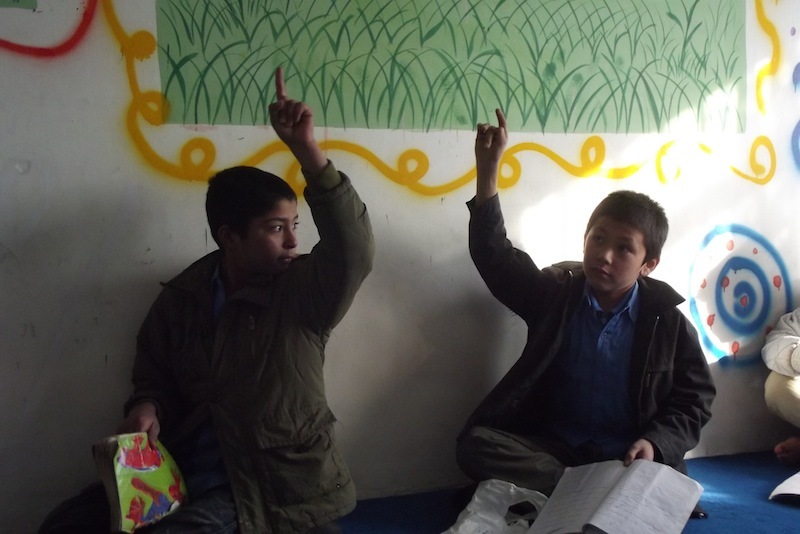 I ask him what he likes about Kabul, immediately he says "study", a testimony to the success of the APV's project as his once a week lesson at the Border Free Non-Violence Centre is the only schooling he receives. I ask after his mother Maryam and his 5 brothers and sisters, again he shrugs and says "fine", they still live in the same place, a piece of tarp stretched from the side of a building which creates a living space for the 8 members of the family. Habib talks about an average day for him, work will normally start around 9 in the morning and end around 8 at night. At the moment it's getting dark at 5 and even teenage members of the APV tend not to be out later than 7pm as the streets are so unsafe. He says his day is tiring as there are not many places to work so he must walk around a lot which is quite tiring. His biggest worry is security and the danger of being caught up in an attack. He describes how one day there was a bomb in Polysok, a shopping area not far from the peace centre, his mother was gripped with fear so walked the streets looking for him. The memory of meeting his mother Maryam last year came back to me, she quietly wept under her burka as she described how her husband died in a sectarian suicide attack on a shia mosque. I ask him if he still wanted to become a doctor, he immediately says "yes". Next I interviewed Gul Jamma (translation Flower Friday), she doesn't know her age but looks around 10. She partly caught my eye because of her already apparent stunning beauty, and then her shy smile which lights up a quiet inner joy. There are only 5 girls on the project, I'm guessing there are generally less girls working the streets as usually girls and women are expected to stay at home. Gul Jamma is Pashtoon and lives in Chara Kumba refugee camp. She looks timidly at me as I beam the biggest smile I can muster. Today she was dressed in a raggedy pink spangly dress which hangs off her thin frame. She sits crossed legged on the floor looking nervous, I suspect it's the first time anyone has ever asked to speak with her, least of all a foreigner. Gul Jamma is painfully shy, she looks down and plays with her dress, her hands are weathered and filthy, she only occasionally looks up to flash a shy smile. I find out that her work involves trawling the streets for plastic to burn for fuel, this morning she collected 2 sacks of plastic. 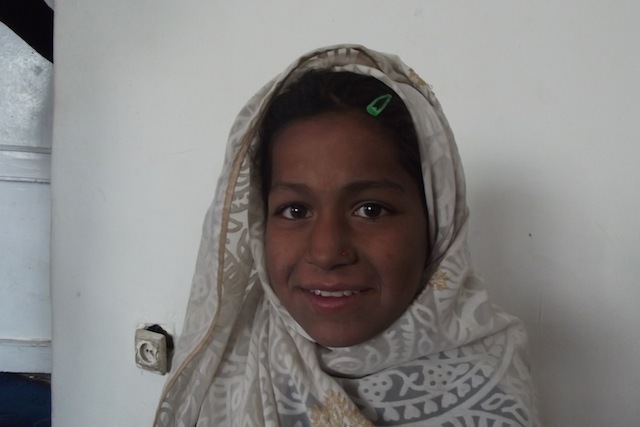 She's been living in the refugee camp for the last 3 years, before then she lived in Sangin, Helmand province, the area of Afghanistan where British troops were based and the fighting has been most fierce. She says that her family left Helmand 3 years ago after her father was killed. She has 5 brothers but 2 of them have died in the war and 1 of her 5 sisters as also passed away. Her older brother was a cobbler but his equipment was stolen so now he can't work. Her only memory of Sangin is war, I try to press her for more detail but again she just says "war". The last year at the Border Free Centre is her first experience of education, she says learning is important to her and when she's older she'd like to become a teacher and help people. I want to know more about Gul Jamma but can sense a deep sadness which I feel is not my place to disturb. I ask her about toys, her only doll, she says her doll has black hair and wears a scarf but doesn't help with housework. Since being in Kabul we've heard whispered horror stories, one being that there's currently a major trafficking ring of young Afghan women to Dubai and other parts of the Middle East mainly for slavery and even body parts, the rumours say that street children are particularly vulnerable. This morning Obama announced that the war with Afghanistan has come to a "responsible end". Delegations to Kabul are super expensive yet imperative to fight the war machine and show solidarity to our Afghan brothers and sisters. If you haven't blown all your funds over the Christmas period please donate to us today! No sum too small or too large.